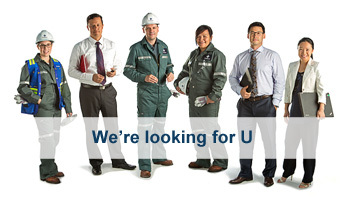 If you already work for Cameco, please access career opportunities here. Learn more about Cameco's job opportunities around the world. Create and update your own private profile so it's always current. Search career postings and conveniently apply right here for each competition you're interested in. Create a candidate profile without applying for a current posting. Sign in to get started. Save your search and create an email alert to notify you of future opportunities. Successful candidates for all positions at safety-sensitive sites or in safety-sensitive positions must take and pass a substance test (which includes marijuana testing) as a condition of employment. Marijuana remains in a user’s system for about 30 days, so applicants/employees who have recently used marijuana should not expect to pass a substance test.